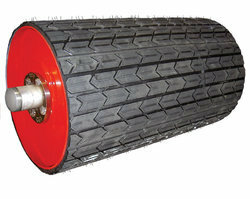 We are the leading manufacturer and exporter of the Conveyor Pulley. Owing to the vast industrial experience, we have been able to offer a wide array of Idler Rollers to our valuable customers. Manufactured in accordance with the industry set standards, these rollers are widely used in different constructional applications. 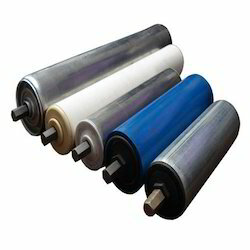 Due to their optimum performance and minimum maintenance, these rollers are highly demanded in the market. 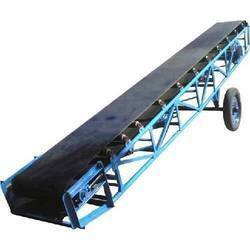 We hold expertise in offering a wide range of Conveyor Belts to our esteemed customers. These belts are used for the purpose of various conveying applications in different construction industries. The belts, offered by us, are highly appreciated for their high load carrying capacity, impeccable design and long functional life. Good surface electrical conductivity, good resistance to fire, flame propagation and good resistance to vegetable and mineral oils. Our company is instrumental in offering premium grade Idler Stand to our esteemed customers. 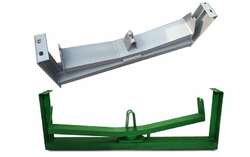 These stands are precisely designed to be used with conveyor belts, which are widely used in various conveying applications. The stands offered by us are manufactured from cutting-edge technology to ensure high standards of quality. Owing to the rich experience in this domain, we have been able to offer optimum grade Return Rollers to our valuable customers. 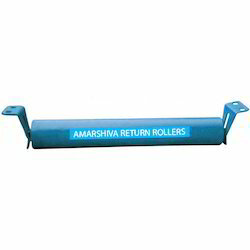 The offered return rollers are precisely designed to be effectively used on various belt conveyors system. To ensure a zero defect range, these rollers are stringently tested by our team of quality controllers. We are one of the leading manufacturers, suppliers, wholesalers and exporters of optimum grade Conveyor Pulley. These pulleys are widely used in the construction industry for the purpose of lifting heavy materials. The team of quality controllers keeps a strict supervision over the entire manufacturing processes to ensure that these are carried as per the industry laid standards.